Public health has seen multiple revolutions over history: from the recognition of the connection between water, sanitation, and health, to breakthroughs in medicine and genetics. We are currently in the midst of a new revolution in public health where humans are recognised as social beings connected to their community and their environment. Accompanying this revolution in public health is a growing consensus on the connection between nature and health. Modern psychology now takes an active interest in the restorative and stress-relieving functions of contact with nature. The reduction in stress results in lowering inflammation in the body, which results in less disease such as dementia, diabetes, heart disease, and depression. Furthermore, connection with nature and animals from a young age has been shown to reduce the risk of allergies, inflammation, and other diseases. Much of what we consider to be a “normal” lifestyle is incredibly recent in the history of our species—the creation of the city was just 6,000 years ago and industrial production began less than 400 years ago. As a result, the human mind and body have both developed under conditions radically different from those we live in today. Thus, our disconnection from nature is resulting in a massive rise of non-communicable diseases across the world—and the damage we are causing to the environment is increasing the risk of natural disaster and poor health. There is no one solution for our current crisis; to build a natural health system we must not only change our approach to healthcare but our attitudes as a society. Although healthcare professionals already have several tools to combat chronic disease, many current treatment options run risks that must be weighed carefully. Prescribing nature is increasingly becoming accepted as an option for helping patients with chronic illness while limiting side effects and adverse reactions. Initiatives such as Health Walks, Park Rx America, Green Gyms, and Beat the Street have proven to be incredibly successful at connecting people to nature and improving their health. Looking forward, environmental interventions such as social prescribing—where doctors prescribe time spent in nature or the community—will become an increasingly common and cost-effective way of treating long-term conditions. Image Credit: Nature by gayulo. CC0 Public Domain via Pixabay. A truly natural health system encompasses not only primary care, but also education, transport, and infrastructure. More and more people worldwide are living in urban environments, so we must ensure that urban landscapes in the future reduce and remove any barriers to accessing green space such as lack of knowledge, distance, mobility constraints, and social exclusion. 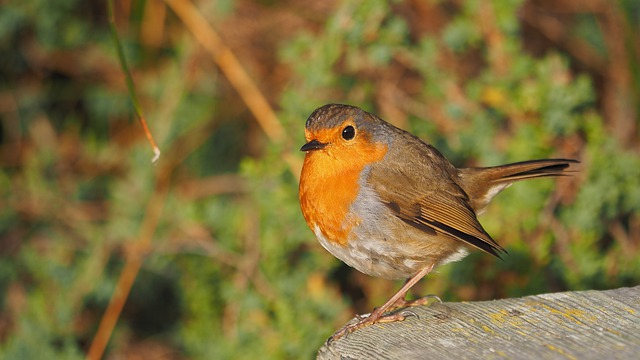 Furthermore, while urban green spaces are usually highly designed, it is hugely beneficial to create space for wilder areas such as woodland and wetland, as well as specific therapeutic areas. Bogota, Columbia has emerged as one of several cities across the world that best exemplifies the idea of a natural health system. The city’s holistic approach has seen green spaces reclaimed and an extensive network of cycle paths built in recent years. On Sundays and public holidays principal highways are closed so that residents must use their bikes to enjoy the city. Education programmes teach motorists and pedestrians to respect each other, and even mental health initiatives like parajiando (birdwatching) foster mental restoration through connecting to nature. Increasingly, cities are understanding that increasing and improving access to nature can lead to huge benefits for healthcare. Image Credit: Industry by SD-Pictures. CC0 Public Domain via Pixabay. Additionally, as a species we must do more to prevent, mitigate, and survive the unprecedented environmental damage we are reaping on the planet. Many of the environmental health challenges in the 19th and 20th centuries, such as overcrowding and smog, required a local solution. However, in the 21st century, the parallel crises of climate change, biodiversity loss, ocean acidification, and ozone depletion need a global solution. 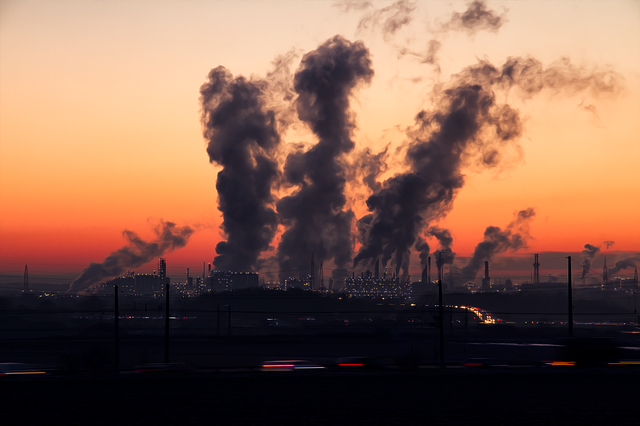 Effectively managing the consequences of the anthropogenic era is integral to public health in the future. Inherent in the recognition of nature as a public health asset must be the realisation of how much we all lose by disconnecting from or degrading our natural environments. If we realise this and act soon, forests, lakes, seashores, urban parks, and woodlands may continue to provide settings for recovery and recreation, while simultaneously delivering basic services for our health and survival. Featured Image Credit: Zen by NeuPaddy. CC0 Public Domain via Pixabay. Dr William Bird (MBE) is a GP with a special interest in the promotion of outdoor physical activity. He helped set up both the British Heart Foundation National Centre Physical Activity and Health in Loughborough University (2000) and European Centre for Environment and Human Health in Truro (2010). Between 2000 and 2005 he was clinical director at the Met Office working on the Health Forecasting service. 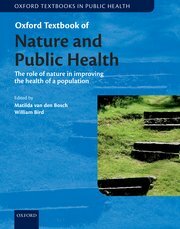 His book the Oxford Textbook of Nature and Public Health is now available in print.